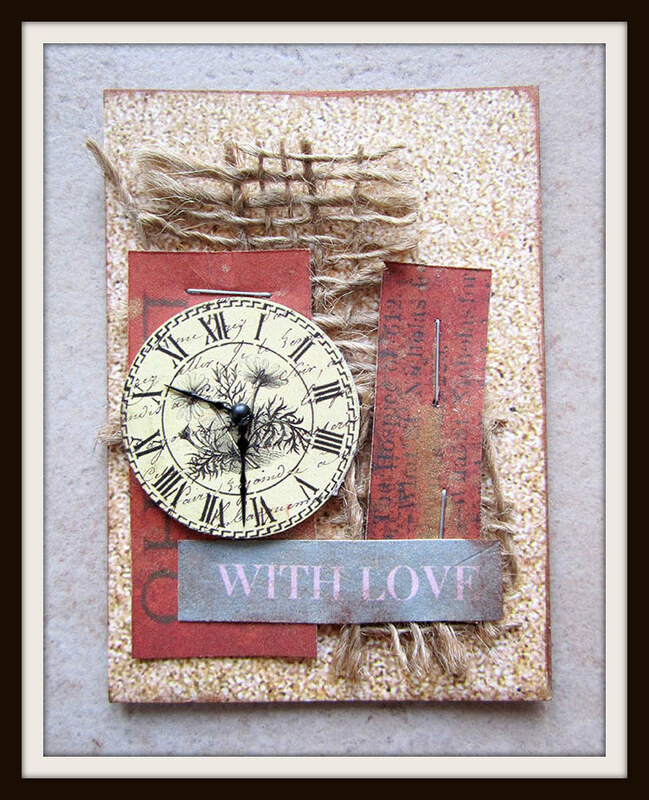 I’ve been creating a lot of ATC’s lately as part of an art exchange group with people from around the world. The list of people keeps on getting longer and so I keep on making these fun cards for everyone. 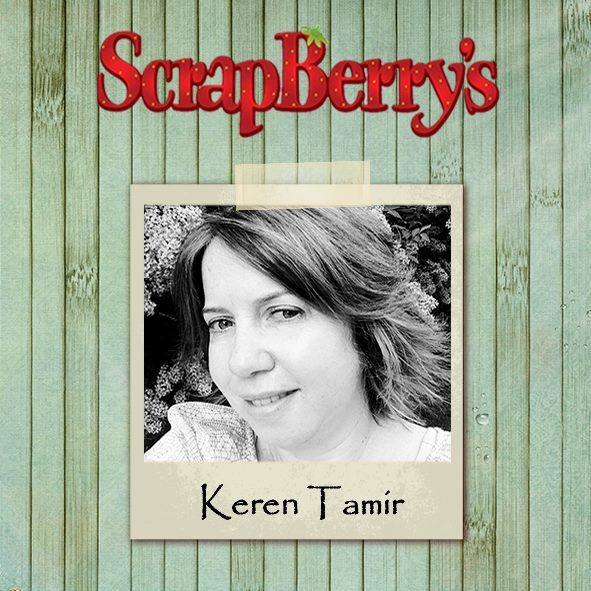 Today I used a couple of the Scrapberry’s collection: Antique Shop, Winds of travel and Birds of Paradise. 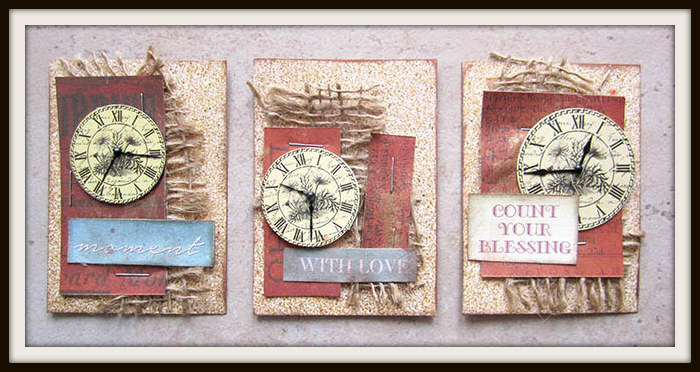 The background looks like cork texture and its embellished with a metal clock. 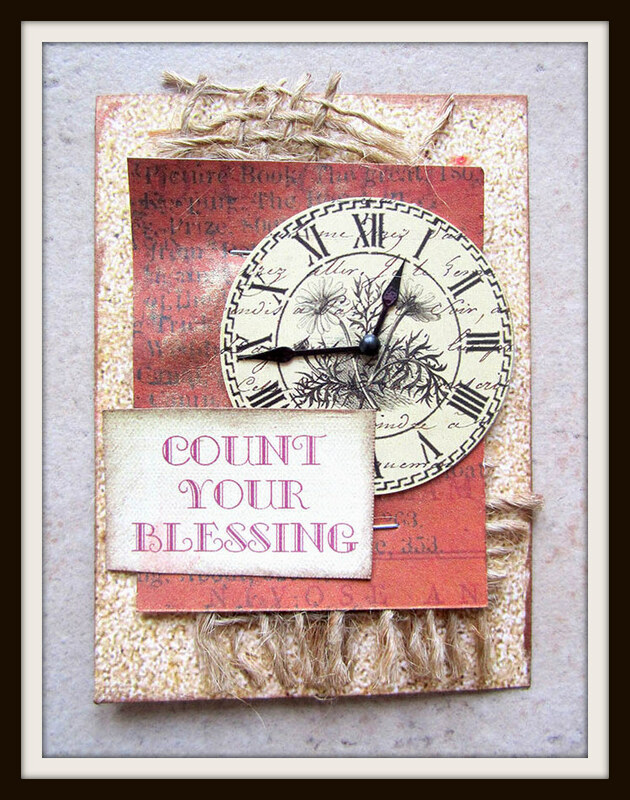 I also added some textures with burlap and staples.